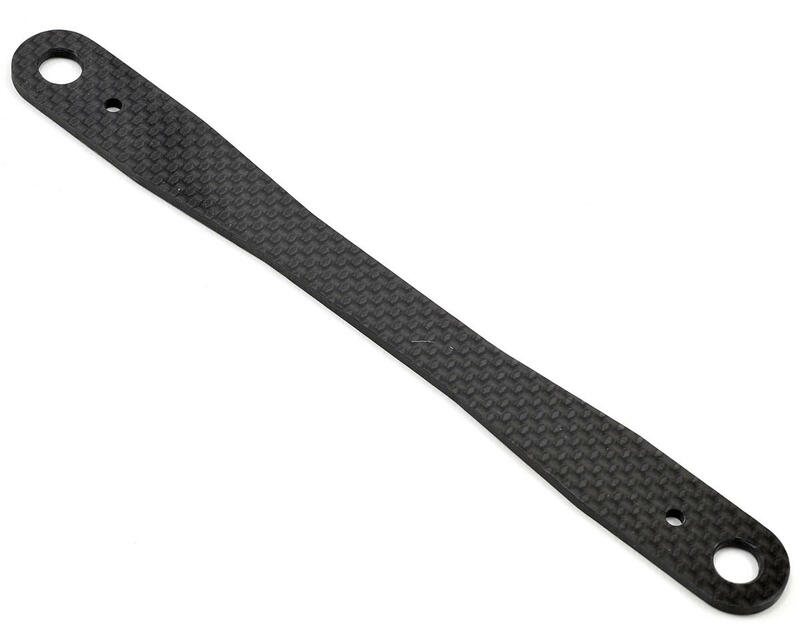 This is an optional Jammin Products Losi TEN SCTE 2.0 Carbon Battery Strap. 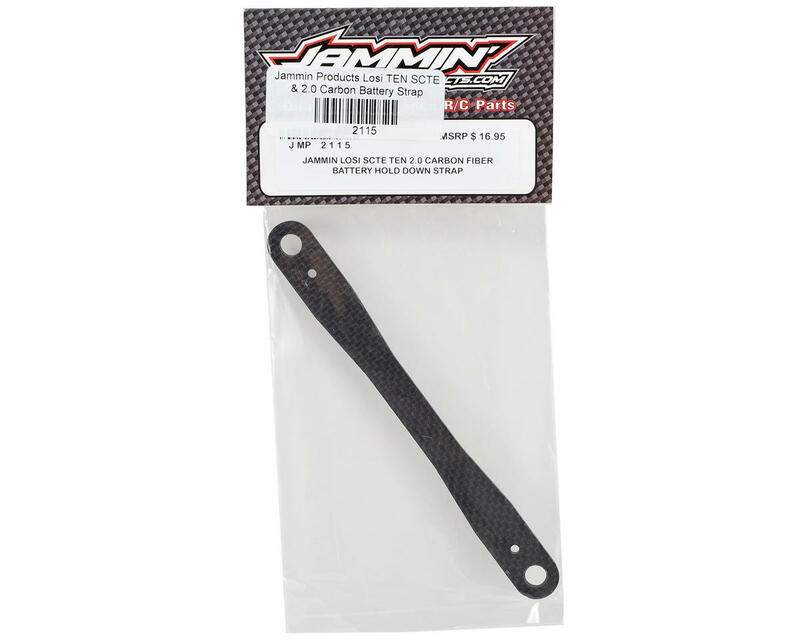 The Jammin Products Carbon Battery Strap has been designed, tested and manufactured in the United States from US made carbon fiber material to provide a battery strap that is lighter and stronger than the stock strap, while still providing the clearance needed for the terminals on LiPo packs. The battery strap uses the stock thumb screws and is a replacement for the TLR231002 battery strap.